New day new tweak in Cydia, Unlock IOS 6 Maps, Enables 3D and navigation features on all devices in IOS 6.0's new Maps app. Warning: May Reduce performance. THere are no optons to configure and no screenshots for this item. 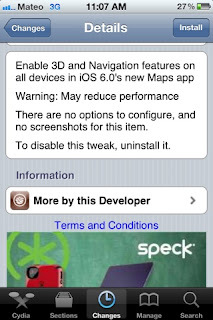 To disable this tweak uninstall it. Requires IOS 6? I tried installing and it is dependent on >IOS 6. 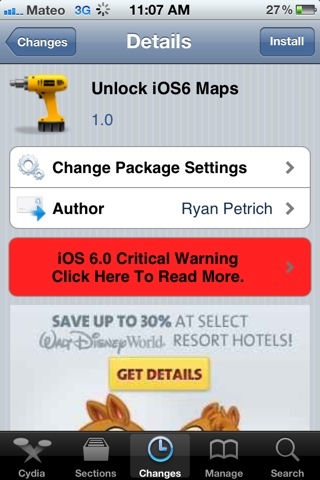 Feel free to check out on the Cydia store.